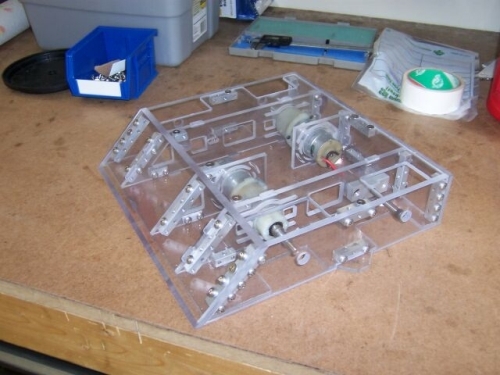 We developed Nutstrip after realising there had to be a better way than drilling and tapping all the holes required to hold the parts of a robot together. It consists of a square section 6061 Aluminium bar drilled and tapped through two axis. 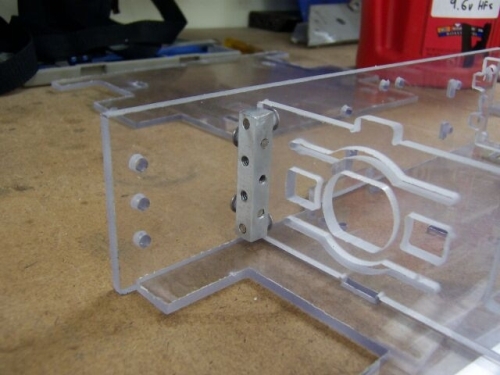 Now all that is required to join two panels together at right angles are a series of regularly spaced holes. 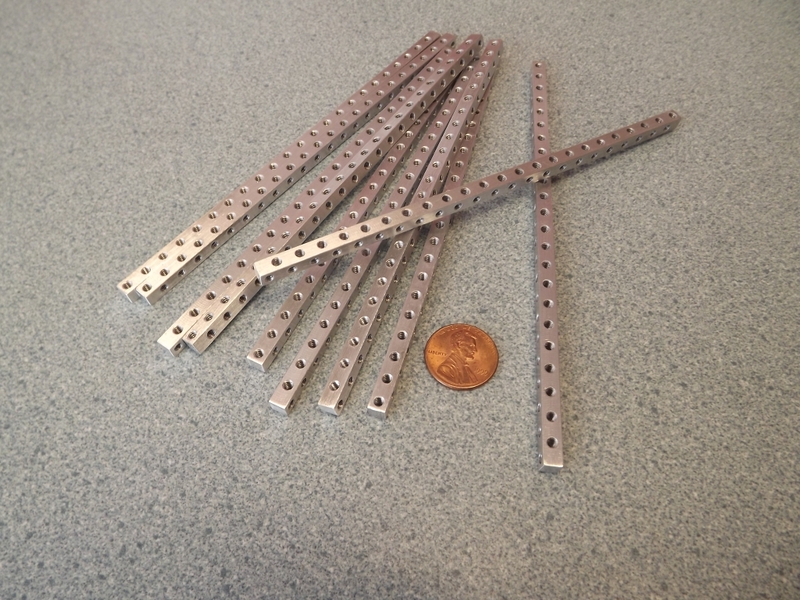 The strip comes in two foot lengths for the large and medium and one foot for the mini, all you have to do is cut a section as long as you require and screw the parts together. 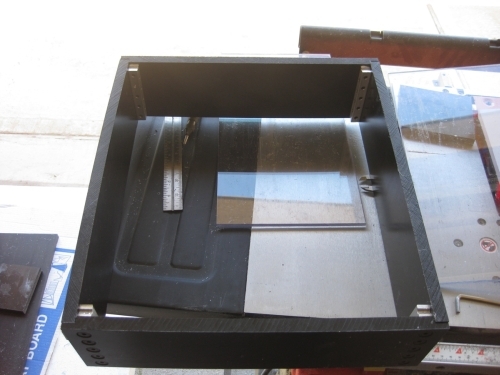 The idea was used to hold all of the sections of the CS3 kit together and allows quick assembly and repair. The strips are tough and the screws will usually fail before the strip does. Nutstrip is currently available in three sizes. 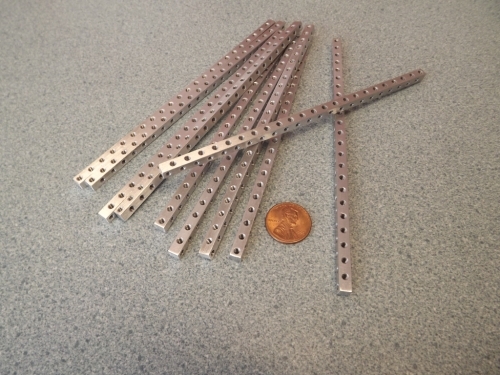 Solidworks model Iges Weight 0.035oz per inch. Mike Jeffries new Sportsman uses "Large" Nutstrip to hold the panels together. 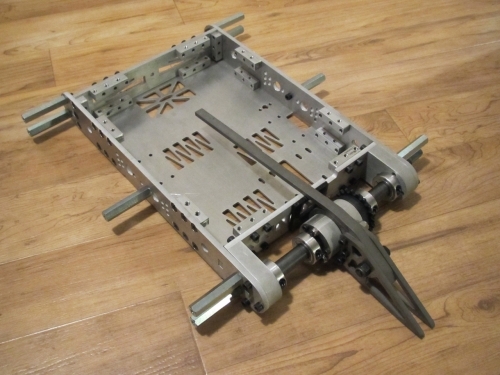 The chassis Team Radicus's new 30lb Sportsman class bot uses the large nutstrip to hold it together.